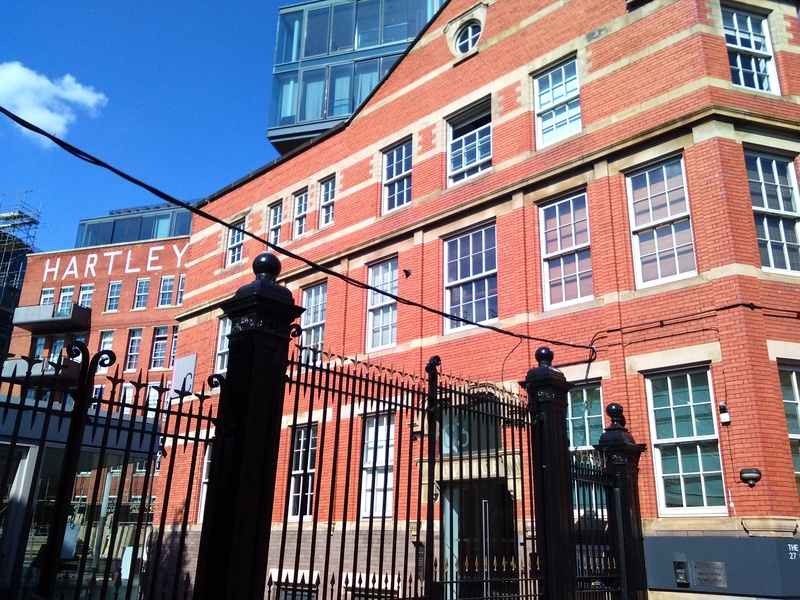 This is the story of how Hartley’s became the largest jam manufacturer in the world. It remains the leading brand of jam in Britain. 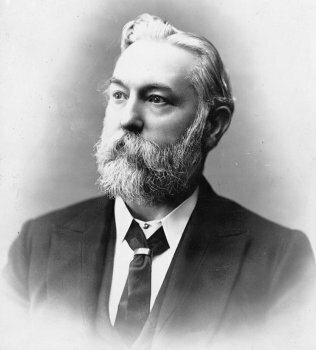 William Pickles Hartley (1846 – 1922) was born in Colne, Lancashire, the only surviving son of a locksmith. He left school aged fourteen, and joined his mother’s modest grocery venture. Within two years he was running the business, which soon grew to become one of the largest wholesale grocers in Lancashire. Due to the expense of strawberries, jams in those days were almost exclusively made of gooseberry, damson or a mixture of raspberry and gooseberry. Sales were almost entirely confined to the poorer classes, as the wealthy either made their own, or suspicious of the often adulterated products on the market, went without. Hartley was an industrious man with a dedication to quality. Problems with suppliers led him to produce his own jam. Full scale production began in 1871, with a staff of around twelve. The product was pure, containing nothing more than fruit and sugar. In the first year his output was 100 tons, sold to local grocers. Its high quality and keen pricing made it popular as an affordable substitute for butter. Hartley lacked sufficient capital to develop both the grocery and the jam business: he determined that he had to give one up. Following the abolition of sugar duty in 1874, Hartley sold the grocery business and established a small jam factory in Bootle, Lancashire. Meanwhile, cheap grain imports saw vast amounts of agricultural land in Britain turned over to soft fruit production, which lowered crop prices. Hartley employed 150 people by 1881. 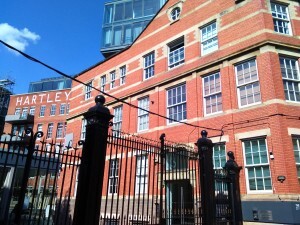 Hartley acquired a 40 acre site at Aintree, Liverpool in 1886, and established a new factory. The site was chosen for its strong railway links. The works alone covered four acres and employed 1,420 people at peak times. The new factory was capable of producing 100 tons of preserves each day in the busy season of July and August. Marmalades and candied peel were produced throughout the rest of the year. Hartley owned some fruit farms, and enjoyed good relations with independent farmers he contracted. Fruit would be boiled into jam within a day of being picked. Exclusively English fruit was used in all jam production. Blackcurrants were sourced mainly from Cambridgeshire, and raspberries and strawberries came mainly from Kent and Somerset. Hartley was a Primitive Methodist, and applied his Christian principles to business. Inspired by Titus Salt (1804 – 1876), Hartley built a model village across 50 acres for his workers. Like other non-conformist denomination businessmen of the period, he introduced a profit sharing scheme for his workers. Wages were above average and free medical care was provided. He was subject to great fluctuations of mood and these tended to vary with his health. At times nothing could thwart his amazing energy or daunt his radiant optimism. But when his nerves were badly worn or he was visited with the severe oppression on the top of his head, to which his friends at one period of his life so often heard him allude, this buoyancy gave way to depression and weariness. Distribution grew to cover the North and the Midlands. In 1901 a factory was opened in Bermondsey, the centre for the fruit preserving trade, in order to cater to the London market. The factory employed 700 people, processed 400 tons of fruit each week and produced ten million jars of preserves a year. The site covered two acres. Hartley produced 14,500 tons of jam in 1907. Aintree employed between 600 and 2,000 people, depending on the season. 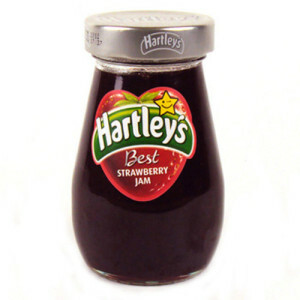 Hartley was the largest jam manufacturer in the world by 1912. The business was converted into a limited liability company in 1919. Hartley donated generously to good causes. Towards the end of his life he gave away one third of his income. At the time of his death in 1922 he possessed an estate valued at £1 million. The company continued to expand until 1925 when the death of the founder, increased competition and the Great Depression all took its toll. Diversification into fruit and vegetable canning in 1933 saw the company re-enter into growth. William P Hartley Ltd become a public company with a capital of £1 million in 1936. The Aintree factory and warehouses covered eight acres. Jam manufacture was highly seasonal, but during peak periods upwards of 3,000 people were employed. Black cherry jam was introduced during the Second World War, in response to demand from American servicemen. In 1949 the factories employed 2,000 people, rising to 3,000 during the fruit season. During the pea season, 250,000 cans were processed every day. The Aintree factory was largely rebuilt in 1951. William P Hartley Ltd was one of the largest canning and preserves companies in Britain when it was acquired by Schweppes, best known for their soft drinks, for over £2 million in 1959. Company assets were valued at £1.1 million. Months earlier Schweppes had acquired Chivers, another leading preserve manufacturer. The combine, with a 25 percent market share in jam, displaced Robertson as the market leader in preserves. Schweppes introduced Hartley’s New Jam in 1963. It utilised the new vacuum boiling process, which it was claimed improved product freshness over open vat boiling. The introduction of pineapple jam proved a great success, and soon accounted for nine percent of all New Jam sales. Schweppes formed Hartley-Chivers Ltd in 1964. Production of preserves ended at Aintree in the mid 1960s, and production was relocated to the Chivers factory at Histon, Cambridgeshire, which was doubled in size. The Schweppes takeover was to prove unsuccessful. Schweppes opened satellite depots, but extra handling of the jam simply decreased the margins on what was already a low-margin product. Schweppes also ceased all own-label and bulk jam production, which lowered revenue. Robertson had recaptured its lead in jam by 1969, with over a third of market share, while Schweppes held 15 to 20 percent. Supermarket own-label came third, followed by more expensive brands such as Wilkin and Frank Cooper. Robertson held 26 percent of the jam market in 1971, while Hartley held 16 percent. Hartley tended to emphasise quality, while Robertson focused on value. The Bermondsey factory was closed in 1975. Following a management buyout, Hartley Chivers became part of Premier Foods from 1981. It was the largest manufacturer of preserves in Europe, and possibly the world. The Histon factory was fully modernised and, thanks to pulp imports from overseas, was producing year round. Schweppes retained the 10 acre Aintree site to produce soft drinks, but closed it in 1984. It was sold the following year to Liverpool County Council for £750,000. Hartley Chivers claimed 30 percent of the British jam market in 1985, and produced 75 million jars a year, and 90 million cans of fruit and vegetables. It also held a 50 percent share of supermarket own-label preserve production. All Chivers products were rebranded as Hartley’s from 2004, and the Chivers brand was discontinued. Hartley’s Best overtook Robertson’s jam in sales from 2005, as The Grocer reported that consumers were prepared to pay more for quality. Premier Foods acquired Rank Hovis McDougall, which owned Robertson’s, in 2007. The acquisition gave Premier Foods a 35 percent share of the jam market. Robertson’s jam was phased out in favour of the Hartley’s brand from 2009. Robertson’s would continue as a mincemeat and marmalade brand. The sweet spreads business of Premier Foods was sold to Hain Celestial for £200 million in 2012. The sale included the Hartley’s, Robertson’s, Frank Cooper’s and Rose’s preserves brands, as well as Gale’s honey and Sunpat peanut butter. Sir Williams father was a tin smith. His great grandfather was a lock smith. Interested to know how you can say he had a staff of around twelve in 1871. William Hartley and Sons Ltd registered ? Can you tell me where you have seen this information. For the locksmith claim see the Burnley News obituary for William Pickles Hartley, dated 28 October 1922 which describes how “[h]is father was a Primitive Methodist lay preacher who earned a very modest living as a locksmith and general mechanic.” The locksmith claim is also found in the Lancashire Evening Post of 26 June 1908. For the registration of William Hartley & Sons see Bittersweet: the Story of Hartley’s Jam by Nicholas Hartley. I can’t immediately find the source for his staffing number in 1871, bearing in mind this article was published nearly three years ago.